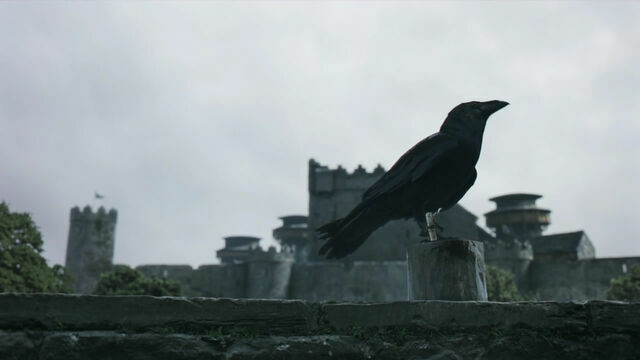 The article takes a first look at Game of Thrones‘ Free City of Braavos and Florence. Given Braavos is a lagoon city that is famed for its banking and skilled assassins, it seems possible Venice and Florence inspired it. This article takes a first look at some of the similarities between Florence and Braavos – and in particular, the Braavosi assassins. While the Wars of the Roses raged on in England and English nobles tried to increase their power while aligning themselves with the winning side, in democratic Florence, the power games centered around ferocious political competition that manifested itself in assassination attempts, patronage of the arts, and attempts to build power through marriages. The two faces of Arya’s one-time assassin, Jaqen H’ghar — one of the Faceless Men of Braavos. (c) HBO. The climate could be so violent that the rich and powerful did not venture out onto the streets of Florence without an entourage of coarse aggressive thugs — known as in English as Bravoes (Bravi or Bravo in Italian) — accompanying them. Although the Game of Thrones Braavosi assassins — Faceless Men of Bravoos –- have a far more exotic origin (from the volcanic slave mines of Valyria), the real-life Bravoes almost certainly lent their name to Georege RR Martin’s assassins. In fact, it isn’t surprising Martin chose a variation of the thugs’ name since it draws out an often overlooked trait of medieval and Renaissance cities. By giving the city the name Braavos, it symbolizes the flavor of medieval Italian cities: violent, commercial. Cover of the second edition of The Betrothed. The most famous description of the bravoes is in the 1827 historical fiction novel The Betrothed (Italian: I promessi sposi)by the Alessandro Manzoni. The Betrothed is one of the most widely read novels in the Italian language, so it is fantastic that George RR Martin would give a nod to Italian literature by alluding to some of the novel’s themes. The novel opens in northern Italy in 1628 the night before Renzo and Lucia, a young couple near Lake Como, are supposed to get married. Two bravoes accost the priest and warn him not to marry the couple: their employer, a local baron, forbids it. The two bravoes wait for the priest and accost him (from the first chapter of The Betrothed). Source: Wikimedia Commons. The beginning of The Betrothed refers extensively to the bravoes. Apparently, Manzoni researched the novel extensively before he wrote it, so the descriptions are supposed to be fairly realistic. The bravoes functioned like retainers in medieval England – except instead of being made up of gentry, the Italian retinues comprised non-aristocratic thugs. Like other northern Italian cities, the Florentine power brokers used bravoes to protect them from society’s rougher elements and, perhaps more importantly, the other elite families. Competition between political rivals in Florence was literally cut-throat. In April 1478, the Pazzi family, a rival of the Medicis, conspired eliminate their competition in what became known as the Pazzi Conspiracy. The Pazzi family sent assassins to slay the co-rulers of Florence, Lorenzo and his brother Giuliano de Medici, during mass. The assassins attacked Giuliano with swords and he bled out on the cathedral floor while Lorenzo fled to safety. Giuliano de Medici, assasinated by bravoes hired by the Pazzi family. What’s interesting about the bravoes is that the artistic creations often overshadow the violence of Renaissance Florence. A democratic city in which people hire those who are the most effective – whether as their retinue or their artists – is nothing like Northern Europe where only aristocrats become knights. Is greater egalitarianism what made society so violent? The drive for success in a world where failure could mean starvation created great stakes for everyone. I love seeing you bring in Italian history into the discussion. It seems that the democracy, conspiracy, and cut-throat politics are nothing new to Florence, Venice, and other city-states in Italy. They permeated Italy’s history from the early days of Roman empire (Julius Caesar was assassinated by his political rivals, and many emperors met the same end) all the way to mid-19th century when Italy was finally united. Even the Godfather saga can be viewed as a miniature version of these themes. Braavos is one of my favorite locations in ASOIAF. The canals, the fish market, the waterside bars and brothels, the hotblooded locals … The chapters really took me back to Venice down the memory lane. The bravos were the Renaissance version of gangsters and thugs. The books make it clear that the Faceless Men were not bravos and that the bravos were spoiled rich kids looking for fights. It was implied that there were bravos in some of the other Free Cities as well. In real life, bravos were a problem in the Italian Renaissance city-states even if they were useful for powerful families to wield against each other. I admit that in the beginning I was confused about whether “bravos” meant the same as “Braavosi” or “hired Braavosi swordsmen” until it was cleared up for me. Braavos certainly had the banking culture of Florence (Venice also had a strong banking culture–it had to have one with the merchant princes), the canal system and lagoon location of Venice, the famed naval power of Venice as well as a ducal ruler (Sealord of Braavos = Doge), and the depiction of the Sealord’s Palace in the ‘World of Ice and Fire’ is the Venetian Palazzo Ducale. The Arsenal of Braavos is directly based on the Arsenal of Venice. The fame of Braavosi courtesans parallels the courtesans of Venice. Interestingly, the description of the architecture of Braavosi townhouses brings to mind the townhouses of Amsterdam, and the description of the Braavosi aristocracy’s clothing is more reminiscent of Dutch clothing than Italian fashion (dark restrained colors and laces). The Dutch also had powerful banks and companies (the stock exchange first took hold in Amsterdam, and there’s the Dutch East India Company). Of course, the Titan of Braavos is based on the Colossus of Rhodes (another city-state that got rich and powerful on sea trade). This is interesting and I may have to rework this article. My knowledge of the Renaissance bravi I doesn’t go any deeper than this article. I was thrilled to even find this much to be honest. Plus it looks like I need a better understanding of the Faceless Men. Well, perhaps this is back to the drawing board. Sorry folks! I know I’m not referencing Florence or this particular article, (which I love and will comment on properly later..) but I’m just putting up GRRM’s exact words from the brilliant ComicCon panel discussion held yesterday (25th July ). Thanks Martine! You are always so sweet. I will have to read GRRM’s ComiCon panel comments. I love reading his interviews. Florence and assassins reminds me of Assassin’s Creed 2 (http://assassinscreed.wikia.com/wiki/Ezio_Auditore_da_Firenze). The game is set a little later, but is very much part of the same historic tradition. I started another post but the computer did funny things, so I don’t know if my comment has gone to await moderation. Of course that comment if it has not been lost will sound a bit weird. I will type what I meant to say here – if the rest of the comment has indeed been lost I will come back and type the rest (or at least what I can remember) later. I had addressed Starfall’s point about Braavos being inspired by numerous places and was mentioning (in relation to the mention of Amsterdam) that at one time (going back to the time of he later Stewart and early Hanoverian rulers of England and Wales) the Dutch were not that popular England. With their canal system and its connection to many of the large rivers of Europe, the Netherlands had grown quite wealthy on the trans-shipping trade and allied trades such as insurance so there was probably a degree of envy. And of course New York was once known as New Amsterdam. Of course (most) people from the UK get on with (most) people from the Netherlands reasonably well these days, though in British English there are a couple of expressions to Dutch which were probably disparaging in their origin, though nobody thinks about that yet, e.g. If a small child has made a perfunctory job of washing him/herself behind the ears, Mother might say “if you’ve washed behind your ears I’m a Dutch woman” – the part of the expression in question being “if…………………..I’m a Dutch man/woman”. Also if one can’t understand something that somebody said, whether it was too highfalutin or for any other reason one might say “It was double-Dutch to me”. I should say that I haven’t checked the origins of those expressions in the dictionary and it is just possible that they could also have been influenced by “Deutsch” – German. Sadly I do not have your comment post so it was indeed lost in cyberspace. However, this is a very interesting comment. So are you saying that Braavos may be partially influenced by the Netherlands or Burgundy/Flemish wealth? If so, that’s very interesting. It is easy to forget that they too were textile traders and they too lived in cities with canals (Amsterdam being one). I hope that wasn’t due to downtime on my site – eg my site suddenly died. Do other people find this site loads slowly? I have been thinking of calling my web hosting provider about it, but I’m not 100% sure if it is slow or just my internet connection. It looks as if my original post was lost in cyber-space. There’s also a couple of typos I hadn’t picked up on in the post which did work:- “he later Stewart” should have been “the later Stewart” and “the Dutch were not popular England” should have been “the Dutch……………….popular in England”. In the post which was lost I alluded to Starfall Fan’s mentioning that Braavos might be a composite of Florence, Venice and Amsterdam [and other places]. I can’t remember everything I said. If it was important it will come back to me later – if it was just waffle maybe it’s as well the gremlins struck (or maybe I just hit the wrong key). Interesting note: The center of Amsterdam is surrounded by three canals. The outmost one is the Princengracht, or “canal of the princes”. The middle one is Keizarsgracht, or “canal of the kings” and the innermost one is Heirengracht, or “canal of the gentlemen”. The point that the Dutch wanted to make is “kings are more important than princes, but the gentlemen – or the Dutch traders – are more important than all of them”. This fits well into Staniss’ visit to Bravos, When sir Davos attempts to present him with all his titles, he is dismissed by the mangers of the iron bank “we have no titles here”. Clearly they thought that a gentleman is far more important than a lord, a prince or a king.